Get a grip with new tyres from Action Services. Whether you're looking for replacement tyres or you want to give your vehicle better traction, our range of tyres will cover it. Unsure of what size tyres you need or what brand will give your vehicle the performance you want? Simply get in touch, our experts are here to help make motoring easy. If you're looking for a particular tyre we can order what you want in and they usually arrive within 24 hours. Did you know that new tyres can help your fuel economy? 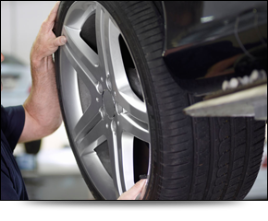 We offer a tyre fitting service and wheel alignment service to ensure that your tyres are fitted safely and professionally.